Designing a small kitchen can be fun, and it offers opportunities to stretch your creativity. While you can't change an apartment layout, you can add your personal style. A few tips include using colors, lighting, space-savers, and storage. An apartment often means you can't paint rooms any color you desire. 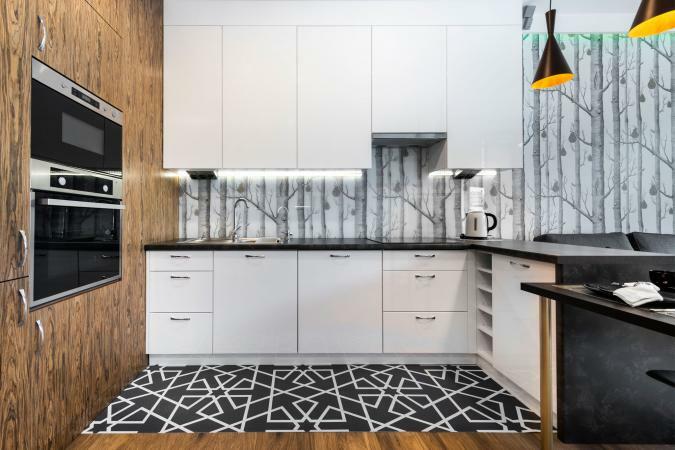 However, you can use other options for personalizing an apartment kitchen. Curtains: If your kitchen as a window or two, add colorful curtains or valences to introduce color, texture, and patterns. Removable wallpaper: Gone are the days you couldn't use wallpaper in apartments. Select a removable wallpaper to make a breakfast nook wall come alive. Accent rugs: A couple of well-placed accent rugs are great ways to introduce color. Decorate cabinets: If you can't paint the kitchen cabinets, consider adding removable floral decals or make your own shapes from removable wallpaper. Plug-in lighting: Add a touch of ambient lighting with a plug-in or candle wall sconce or glam it up with a mini-crystal chandelier. Floor lamp: A slender floor lamp or small lamp for the counter may be just what you need for that kitchen corner suitable for a dining nook. 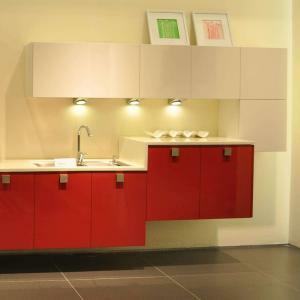 Under cabinet lighting: You can use magnetic, battery operated puck lights for task lighting. Battery operated or plug in under cabinet LED strip lighting is another option. 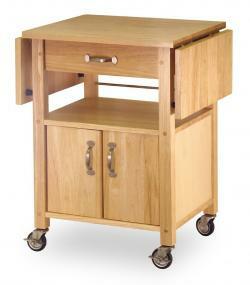 Rollaway cart: Choose from several cart designs, such as a butcher block with a drawer and shelving. Drop-leaf cart: A cart will take up less space when not in use if both sides are collapsible. If your kitchen also has a breakfast nook, you can maximize this space with a few select pieces of furniture, such as folding chairs that can be stored when not in use. Round table: Use a round table in this area to free up kitchen space. Dropleaf table: A dropleaf table can be collapsed when not in use to provide more floor space for kitchen work. You can use only one leaf if you don't have enough space to open the table. 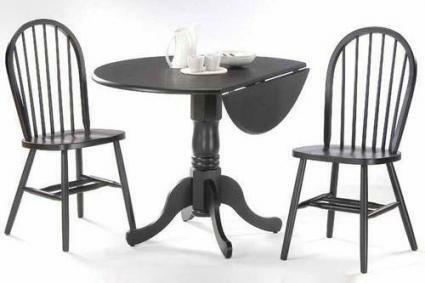 Bistro table: This table design fools the eye with height, making it appear to take up less space. Suction cup shelves and baskets: You can add this type of storage underneath cabinets, wall space, and sides of cabinets to utilize all the space in your kitchen. 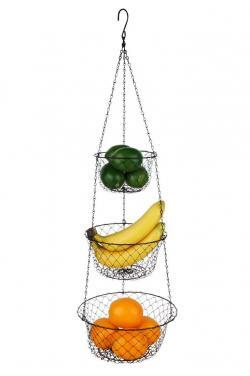 Overdoor basket rack: If your kitchen has a pantry or broom closet, increase your storage capacity with an overdoor basket rack. Cabinet door lid rack: The inside of most cabinets has enough space for a rack to store the lids to pots and pans. Under counter mug rack: Free up cabinet space by using under cabinet mug or coffee cup hook rack. Some styles feature a sliding mechanism that allows you to slide the entire rack out from underneath the cabinet for easier use. Cabinet door wrap and bag organizer: This rack is ideal for plastic wrap, aluminum foil, parchment paper, and sealed bags. Hanging baskets: You can suspend tiered hanging wire or woven baskets from a planter wall bracket or a hanger in the ceiling for additional storage. These tips can help you solve unique challenges presented by a small apartment kitchen. You can personalize this space to suit your needs and reflect your style.